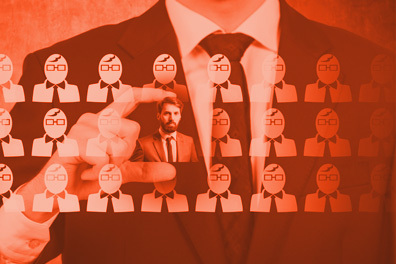 Automated screening brings top candidates to the fore - Expr3ss! A national retailer has slashed its recruitment advertising spend by 95% and vastly improved its candidates’ cultural fit since automating its screening and selection processes. Spendless Shoes national store development and marketing manager Jaimee Charlton has become an advocate for selection software Expr3ss! since her company introduced it 10 years ago, but says she still encounters many Talent Acquisition teams fearful of using technology to streamline their functions. The employers likely to achieve the greatest benefits from automating the most labour-intensive aspects of the recruitment process are those with large workforces, high-volume recruitment needs and high staff turnover, that tend to hire many contingent and part-time staff in low-skilled positions, where cultural fit is more important than skills, Charlton says. But another advantage of streamlining their recruitment processes is “removing the human factor from the start”, because a recruiter’s judgment of a CV – such as their tolerance of spelling mistakes – can vary by the time of day (and even whether or not they’ve had lunch), she says. For Spendless Shoes, a company that places emphasis on cultural fit in its recruitment, automating selection has allowed it to “get to the important stuff quickly” and see issues like spelling mistakes as secondary factors in job applications. “Having that objectivity around team members first makes a world of difference,” Charlton adds. Founded in 1988, the Australian-owned company currently operates more than 220 stores across the country and Charlton says it has received in excess of 354,000 unique applications for its roles over the past 10 years, including 893 in the 24 hours prior to speaking with Shortlist. The company recently hired 130 staff across 32 new stores in 12 weeks, led by retail recruitment manager Nicole Murphy and supported by regional managers. “Before Expr3ss! we would spend approximately $40,000 per year on paid job board ads like Seek; we now spend less than $2,000,” she says, adding that candidates have rated its application process at 4.3 stars out of five. Spendless Shoes is also seeing positive results from adding video to its processes, and Charlton says “we have definitely progressed people through applications to interview stage because something in their video has impressed us above and beyond their resume”. Applicants aren’t compelled by Spendless to use video, but the company seldom receives negative feedback about it being included, she says. *This article was originally published on Shortlist.net.au – a prominent HR and Talent authority that “has been keeping senior recruitment and talent acquisition professionals informed since 1998, providing fast, independent, and accurate news of the highest quality.” Learn more about their subscription options here.